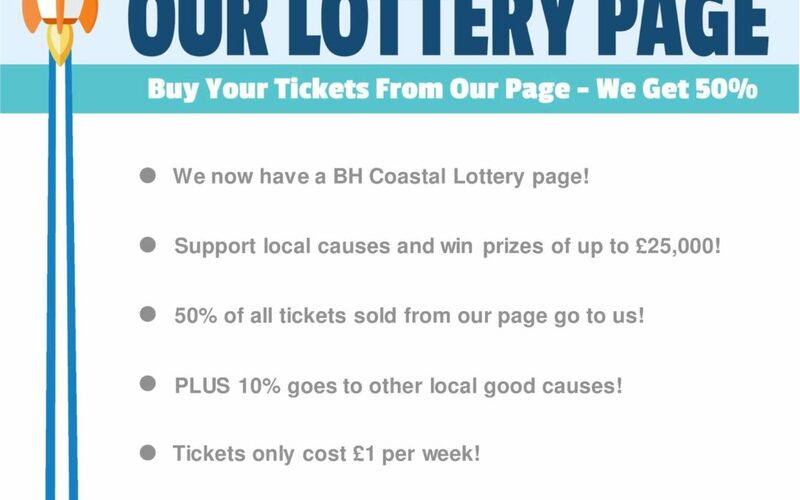 We’ve launched our BH Coastal lottery page! You can win prizes of up to £25000 and 50% of all tickets sold from our page go to us! Plus 10% goes to other local good causes! Tickets only cost £1 per week. Please support us if you can. Please click on the below link for more details and to enter.